Finding the perfect hosting provider can be very overwhelming. There are so many different companies vying for your hard earned cash and with so many features to sift through it can get confusing. How are you supposed to know which one will work for you? Well, if you are looking for anything other than the ordinary, Flywheel is definitely one to consider. And, it just so happens that we have a deal for you! 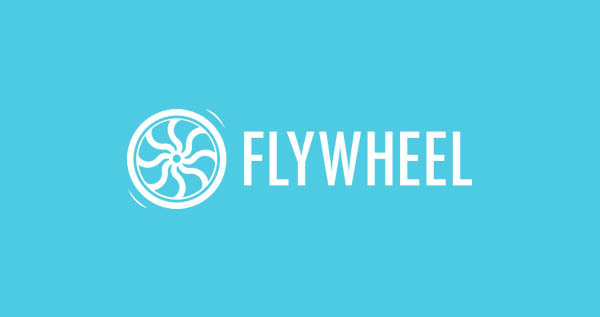 Let’s take a look at what Flywheel can do for your website so you can decide whether to use the special coupon code hammerwheel to get an additional 30% off the plan of your choice. Going beyond your normal managed hosting service provider, Flywheel helps designers and developers build, launch, and manage their client’s websites, as well as their own. Creating the perfect website doesn’t have to be difficult when you are working with others. Using Flywheel you will be able to focus on the design of your website rather than whether your team is on the same page or not. Each team member will have their own login and password so you don’t have to keep track of everyone. They will also have full access to the site, so they can manage the site. Plus, you can manage multiple websites and multiple teams all from one convenient dashboard. Flywheel offers web developers some powerful tools for building an awesome website for clients, who let’s be honest, can be picky. After all, their livelihood often depends on the quality of their website, and it is your job to make it great. One-Click Staging. Don’t break anything by experimenting on your client’s live website.Utilize the available staging environment and easily push your confirmed changes to the live site when ready. Pull back to the staging site if it’s not quite right. Free Demo Sites. Build a beautiful website for a client showing them your progress as you create to make sure it is just right. Using Flywheel’s demo server you won’t have to pay for any services until the website is ready to go live. No pressure here, just the freedom to build as you go, making all the changes you need, without costing you a penny. Merge Uploads. Whether you want to move just your themes and plugins or the entire database, Flywheel merges your uploads so you never lose a thing. When you have placed the finishing touches on your client’s website and are ready to transfer site ownership, Flywheel has you covered. A simple transfer is all it takes, an email will be sent to the client requesting payment, and once payment has cleared, the site is all theirs. What’s more, once you have transferred the website to your client and it is live for all to see, you can still login as a collaborator to tweak things if necessary. Flywheel has 3 pricing plans to choose from depending on your website’s needs. Designed for use on single WordPress installations, these plans are set up to pay-as-you-go and the one you choose depends on your website’s individual traffic. The Tiny Plan – For $15/month you get 5,000 monthly visits, 5GB of disk space, 250GB bandwidth, and optional SSL support and CDN services. The Personal Plan – For $30/month you get 25,000 monthly visits, 10GB of disk space, 500GB bandwidth, and optional SSL support, CDN services, and multisite capability. The Professional Plan – For $75/month you get 100,000 monthly visits, 20GB of disk space, 1TB bandwidth, and SSL support, CDN services, and multisite capability are included. This is great for a highly trafficked website. Freelance – For $100/month you get 10 installs, 150,000 monthly visits, 40GB of disk space, 2TB bandwidth, and optional SSL support, CDN services, and multisite capability. Agency – For $250/month you get up to 30 installs, 600,000 monthly visits, 120GB of disk space, 8TB bandwidth, and optional SSL support, CDN services, and multisite capability (though at a reduced rate). For websites needing more than what the above plans provide, Flywheel offers custom plans built to fit your website’s needs. Flywheel is not just your ordinary managed hosting provider. They strive to take it one step further and really provide their customers with an exceptional service. Now, remember the special deal I mentioned earlier?Well, it is still available! Punch in the code hammerwheel during checkout, get your 30% off, and see what all the hype is about. Collaborate with your team, build an awesome website, launch it with confidence that your client will be satisfied, or even manage your very own WordPress website. There is a little bit of everything for everyone when using Flywheel.